As an educator, you already know that technology offers classroom opportunities that have never before been available, but maybe you don’t know how to take full advantage of it. Discover new strategies and keep pace with educational technology with a certificate, master’s or Ed.S. degree in technology integration. 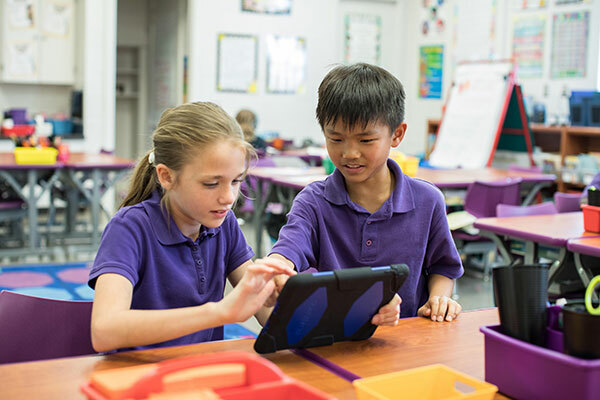 Master teaching strategies that incorporate technology to facilitate greater learning. Connect with other educators in a digital learning environment. Show your students how meaningful, savvy interaction with technology can shape their future and transform their educational experience. This generation lives in a world where every aspect of daily life involves technology. Teach them how to use it innovatively. You can help ensure students are ready for life and work in the vast and ever-changing digital age.